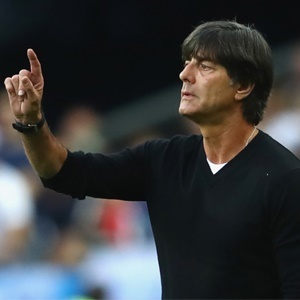 Berlin - Joachim Loew says he will look at his World Cup options by "experimenting" with his line-up at Wembley on Friday when Germany take on England in a friendly. With seven months to go before the World Cup kicks-off in Russia, Loew wants to ensure he has cover for each position. He will use the match against England and next Tuesday's home friendly against France to give those on the fringes of the squad their chance. "Wembley obviously has a special aura, we know that the stadium will be full, with 90 000 people, and we are looking forward to the game," said Loew. "On one hand, we want to have a good match, and the result obviously matters. "But on the other, I want to experiment against a big team, because during qualifying we did not always have opponents of the same quality. "We are still in the testing phase and I do not want to see only the players who have played a lot with us lately, but also a few others. "Some players are already certain to be in the (World Cup) squad, if they are not injured, (Mats) Hummels, (Toni) Kroos and others, those who are our backbone of the team and our leaders. "But the goal is to be able to replace them one-for-one. "In a tournament, the best option is to double all the positions." While England have been blighted by a string of withdrawals, world champions Germany are missing injured stars Thomas Mueller, Manuel Neuer and Jerome Boating. Real Madrid midfielder Kroos has shaken off a gastrointestinal problem and took a light part in training in Berlin on Thursday before the Germans flew to London. "Toni can possibly be held back if necessary," said Loew. "He plays every three days at the highest level and if he does not feel ok, it is quite conceivable that I let him rest." Loew said he will start uncapped RB Leipzig left-back Marcel Halstenberg, 26, at Wembley, where Germany have won all of their last six games against old rivals England. Loew has yet to decide whether Juventus midfielder Sami Khedira or Bayern Munich defender Mats Hummels will captain the team. Germany sailed through their qualifying campaign for Russia 2018 with a perfect record of ten wins. Loew will have to decide which of his in-form strikers to start against England. Hoffenheim hot-shot Sandro Wagner, 29, has scored five goals in as many games for Germany and scored twice in the Bundesliga on Sunday. Leipzig's Timo Werner has been Loew's first-choice and has netted six goals in eight matches. He also scored for his club in Germany's top flight at the weekend. Mario Goetze is back in the Germany squad after seven months out with a metabolic disorder. Likewise, Manchester City midfielder Ilkay Gundogan is set to play for Germany for the first time since tearing knee ligaments last December.